That sound can be recorded and reproduced is something that still amazes and bewilders me every day. I guess this is one of the explanations for my lack in musical taste: to me every recorded sound is holy. People who grow up with computers and CD’s often take it for granted, but I think that the invention of ways to record and reproduce sound is the most important achievement of mankind. To show my children what a miracle recorded sound is, I play them every now and some of my singing postcards. The fact that there is music in these Technicolor pictures even impresses my daughter. 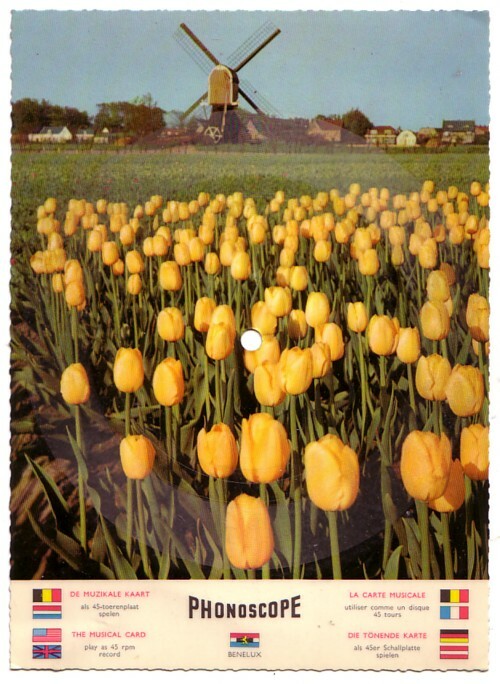 For today I choose some Singing Dutch Souvenir Cards. 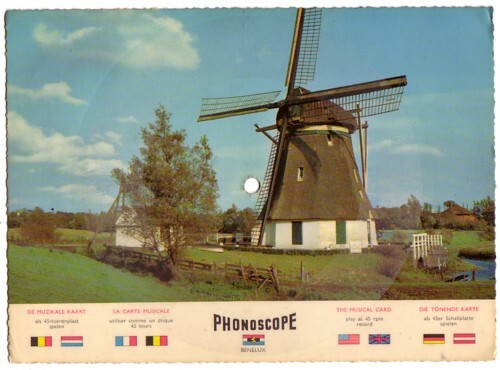 Two are of the famous Phonoscope label and one from Gramo-Kaarten, a less known German company that produced these collectors items too. 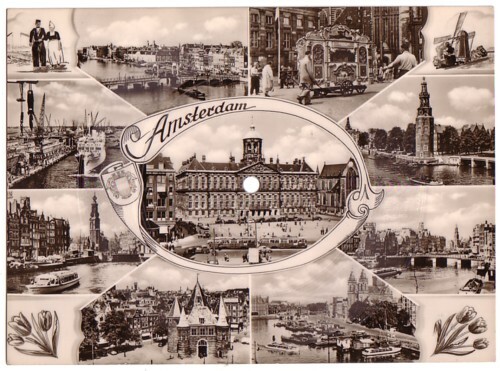 It is a pity that the music on most of these singing postcards is not really exciting, to say the least. At the best you get a Dutch street organ playing some lame top 40 song.